The Amazing People Club® provides organizations with the opportunity to link with amazing people. The series features a new kind of storytelling that brings to life, amazing people such as William Shakespeare, Abraham Lincoln, Coco Chanel, Michelangelo, Harriet Tubman, Elvis Presley, Marie Curie and many more, in an easily accessible and engaging way. These unique stories enable people to better understand the world. Gain a personal insight into the lives of those who have made major contributions, and be inspired to overcome challenges and achieve great things. BioViews® combine biography with interview to bring these amazing stories to life in an entirely new way from a first person perspective. 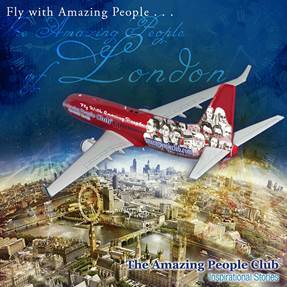 Amazing People / The Amazing People Club® brand has strong and positive associations with a whole host of amazing people. The stories are motivational and offer a unique way for brands and companies to tell their story and engage their audience. They offer SOMETHING DIFFERENT to celebrity role models that saturate the media. In the following audio example, you can hear some of Coco Chanel’s rags-to-riches story. As the content all sits within an extensive media library that features over 500 amazing people, it can be easily bundled as required. Bespoke or branded products can be produced and published upon request. Our experienced editorial team can collaborate with organizations to create unique book products or online resources that connect their brands or campaigns with the inspirational stories of amazing people. Promotional Applications: A London-based tourism agency may want to create a branded product based around the Amazing People of London eBook or audiobook. Similarly the marketing team for a women-focused event may want to work with us to develop a bespoke product based around a curated collection of digital stories of Amazing Women. Education Applications: Corporate sponsorship in schools is widespread and its role in promoting education is paramount. A brand could be associated with providing educational resources, by funding subscriptions to our inspirational learning resources. Warranty Applications: An organization’s associates and customers could receive a built in subscription to our resources, under a sponsorship or licensing arrangement. Brand Legacy Applications: An organization can create a bespoke product, in association with The Amazing People Club, to bring the story of it's founder to life. Our range includes many corporate names including Boeing, Ford, Lever, Carnegie, Chanel, Arden, etc. Motivational applications: Our stories and resources could be offered as a gift to a company's clients when they purchase products, illustrating how amazing people used their time well. All of the above could also potentially feature key marketing messages OR the story of the organization OR a key figure within the organization. Organizations can work with the Amazing People Club in a number of ways. The brand can be licensed under a variety of different agreements / terms or bespoke products can be developed and sold as co-published titles. 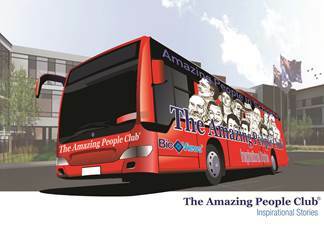 Amazing People Club has extensive distribution to the trade, library and education markets. In addition, we can offer online marketing support through social media. Further information is available upon request.